The bulk of leaks we've been seeing recently has revolved around Google's upcoming device launches, the pair of them. The LG Nexus 5 and the Huawei Nexus 6 take turns appearing in the hands of insiders, and this time it's the former. 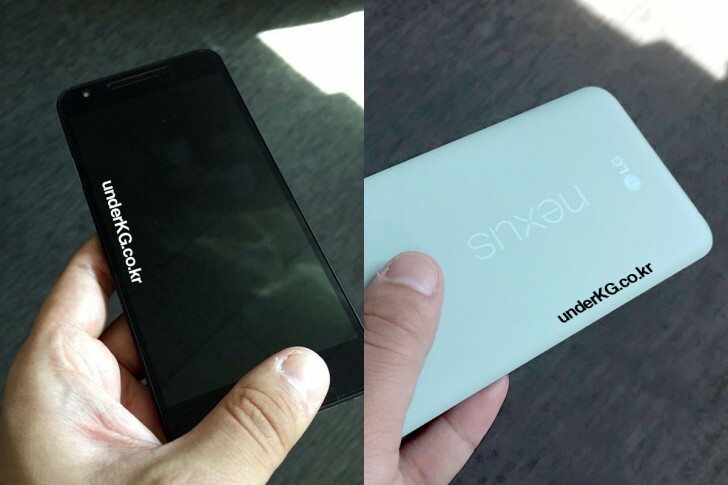 The angle here is that the smaller Nexus will be available in a third Mint color option, in addition to the already seen White and Black. The picture shows a very gentle tint and if it weren't for the source to testify that it is indeed mint, one could have just assumed it's white, and the camera messed up the white balance. Not much else gets revealed this time around and we're left with previously rumored specs, which point to a 5.2-inch FullHD display, Snapdragon 808 chipset, 3GB of RAM and a 12.3MP/5MP camera combo. Pioneering Android 6.0 Marshmallow, the LG Nexus 5 (2015), or maybe Nexus 5X, is rumored to be unveiled on September 29 alongside the higher-end Huawei Nexus 6 (2015, perhaps). I love to stay with my old nexus 5 instead of buying a new nexus with almost same battery. obviously nobody comemnting has used the old nexus 5. hands down the best phone out there for android. would never go back to apple.